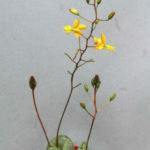 One often comes across the name of the species as Bulbine mesembryanthemoides, but because Haworth used the spelling “mesembryanthoides” in his original description, this has to be accepted as correct. 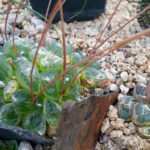 Bulbine mesembryanthoides is a small, summer-deciduous, succulent geophyte with small, underground tuber and usually 1 to 2 (rarely up to 4) leaves. 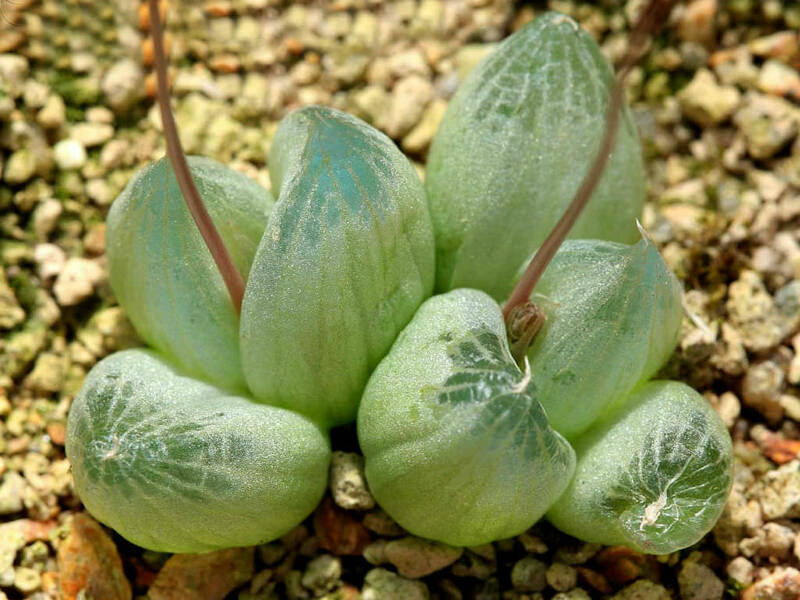 The leaves are cylindrical, up to 1 inch (2.5 cm) tall and up to 0.8 inch (2 cm) in diameter. As soon as the dry summer period arrives, they start to whither. The flowers appear in spring and summer, usually after the leaves have retracted. Each plant may have 1 to 3 inflorescences up to 8 inches (20 cm) tall. 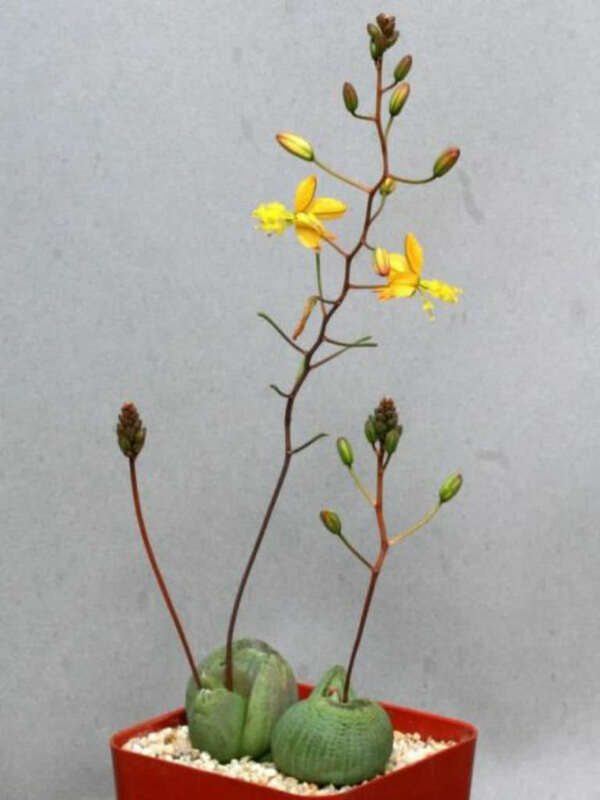 Caring for Bulbine doesn’t require much effort and neglect doesn’t prevent the delicate blooms from rising 12 to 18 inches (30 to 45 cm) above clumping, onion-like foliage. These plants are adaptable to many soil types. 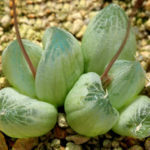 Growing Bulbines is a good choice for gardens in arid areas, as they are drought tolerant. In fact, these plants are often found in rock gardens with poor soil just for this reason. Bulbine plants are hardy in USDA plant hardiness zones 9 to 11, but can grow in lower zones as annuals. 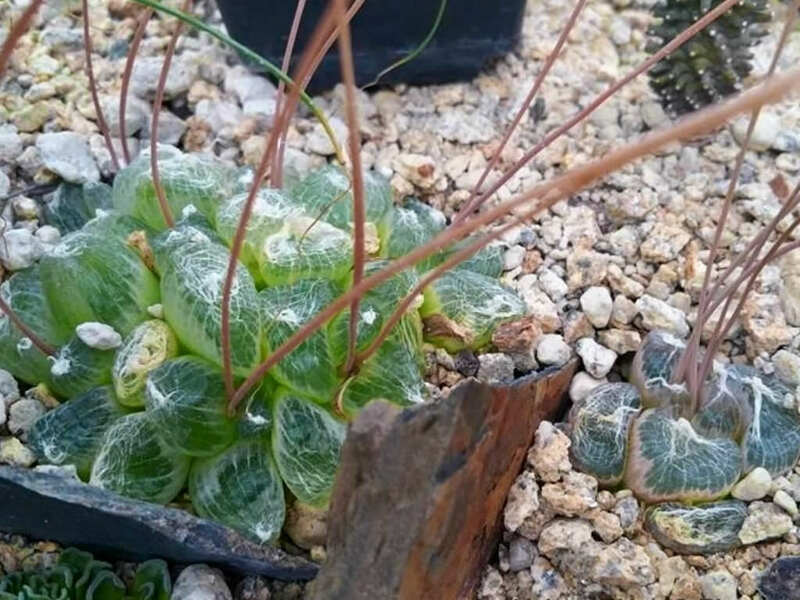 Locate Bulbines in a sunny to lightly shaded area of the garden. Plant the rhizomes in well draining soil and water weekly at least until plants are established. 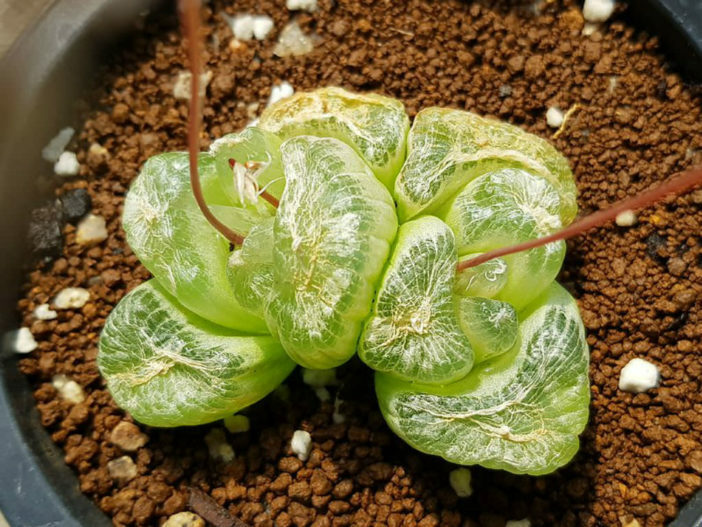 Once established, the plant is drought tolerant, though it benefits from supplemental water during times of drought. Feed your plants with a balanced liquid fertilizer once per month during the growing season. Bulbine mesembryanthoides is native to South Africa (Northern Cape and Western Cape).